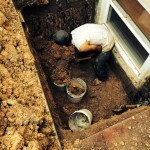 It is important to remember that over time, environmental and soil conditions surrounding a home’s foundation may create specific problems that need to be corrected by a professional foundation repair service. Cracks in bricks (both inside and out). Door, garage door, and window frame separation. Doors and windows do not close and open properly. Floor, floor tile, and foundation cracks. Gaps between ceilings or floors and walls. Walls separating from the structure. 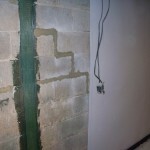 If you have noticed any of the above or a combination of these indicators, you should consider contacting some professional foundation repair services. 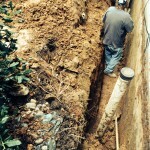 Undergoing foundation repair is an extremely costly and time-consuming affair. It requires a significant amount of excavation around the home, mounting the structure on supports, constructing the new foundation, and then placing the structure back on it. 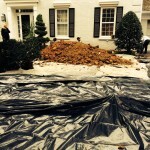 Every foundation issue can be attributed to soil conditions surrounding the home. 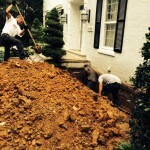 When that soil loosens, water is allowed to penetrate into basements and crawl spaces. 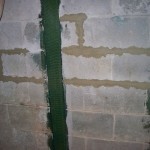 Eventually, foundation repair will be needed to correct the situation. Both new and old foundations alike are subject to foundation problems. So it is important to have permanent solutions applied in order to prevent any future problems from developing. The first step to creating a strong structure is to ensure that the foundation of it is problem-free. What they charge for their services. 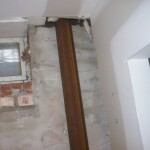 The contractor that you select will most likely start by conducting an inspection in order to pinpoint what type of foundation repair is needed and where there are problems that need to be corrected. Once they have completed this step, they will make recommendations for how to repair the issue and provide you with a FREE estimate or quote of what the repair work is going to cost. Once you have a list of several contractors, you can make a well-informed decision so that the job is done properly and your problems are solved.